Former Chair of the Federal Election Commission Ann Ravel is joining MapLight as a Senior Fellow to to shine light on digital disinformation. Photo By Bill Clark/CQ Roll Call. From Twitter bots and Russian trolls in the 2016 election to the rapid growth of an opaque, unregulated digital advertising industry, our democracy is being undermined by domestic and foreign actors seeking to manipulate public opinion and advance political agendas. The 2018 midterms are already underway, but not nearly enough has been done to protect democratic institutions. 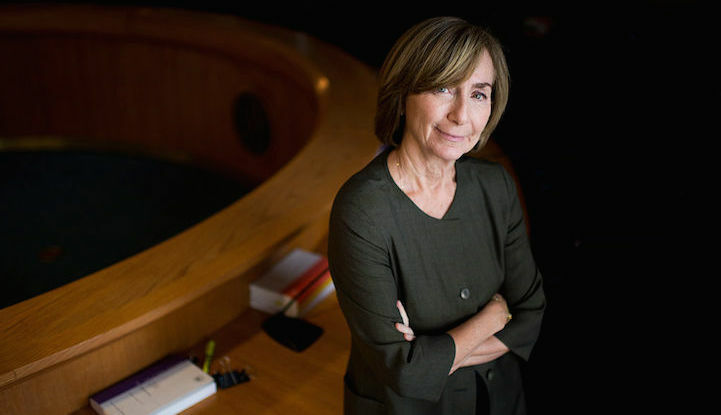 MapLight is excited to welcome former Federal Election Commission (FEC) Chair Ann Ravel to our staff as a full-time Senior Fellow to tackle the threat that deceptive digital politics presents to a transparent, equitable, and accountable democracy. Ravel joins MapLight as part of an innovative partnership with the Digital Intelligence (DigIntel) Lab at the Institute for the Future that combines research, journalism, and policy development to shine light on digital disinformation. She will develop a robust, evidence-based policy platform to address deceptive politics and strategically advance solutions that safeguard our political system. Ravel brings a wealth of experience in government and policy to bear on this problem, most recently as commissioner and Chair of the FEC. Prior to her time in federal government, she chaired California’s Fair Political Practices Commission and served as Santa Clara County Counsel for over 10 years. In 2014, while serving on the FEC, she presciently warned about the dangers of unregulated internet politics—but was met with partisan opposition and outright harassment. She has nonetheless continued to champion greater transparency and accountability for digital politics. MapLight looks forward to working with Ravel and the DigIntel Lab to bring clarity and solutions to the urgent problems facing our democracy online. Want to learn more about how digital disinformation impacts politics? Sign up for our weekly newsletter, the Digital Deception Decoder, to get the latest news, analysis, and cutting-edge research.